Well, it snowed another few inches here this morning, and it looks like its not done yet. I wanted to open something bright to help me pretend that spring has sprung. I looked to my beer collection and set my eyes on the Mikkeller SpontanCherry. I picked this up last year at a little shop in Northern Georgia -- a regular treasure trove of amazing craft beers! 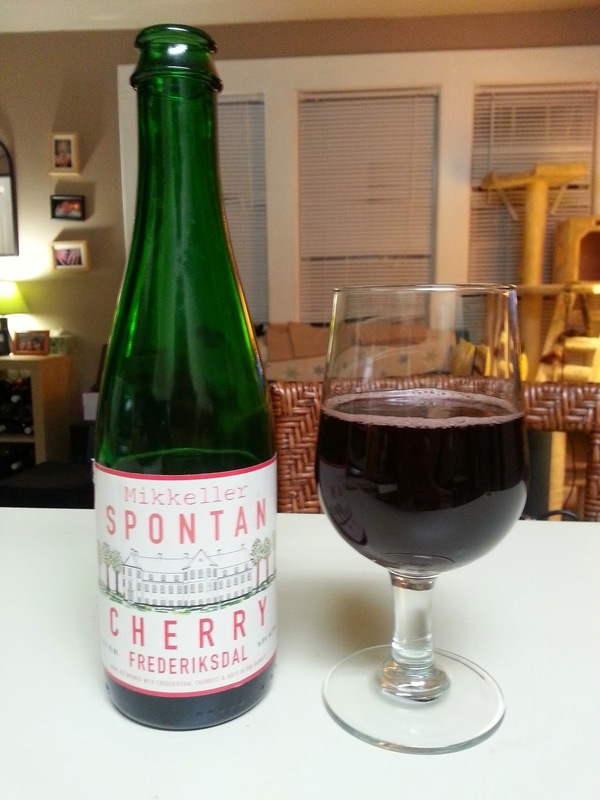 The SpontanCherry is exactly what it sounds like: a spontaneous fermentation of a beer infused with cherries from the Frederiksdal plantation in Lolland, Denmark. The result is a complex, refreshing sour. Review: The beer pours a deep purple color with a thin lacy head. It has aromas of funky brett, roasted nuts, and black cherries. It's completely dry and tart -- brightly so, but not bracing -- with rich cherries, toasty oak, and a nice hit of earthiness. The finish is long and lingering. Bottom Line: Absolutely delicious. I think this could be a pleaser for sour fiends like myself and neophytes alike. Yesterday the winner for the 2015 Virginia Governor's Cup was announced -- a huge congratulations to Muse Vineyard's 2009 Clio for the big win! I was able to taste it last night at the Governor's Cup Gala -- a truly outstanding wine. Well, I don't have a bottle of Clio handy in my cellar, but I do have one of my personal favorite Virginia wines: a Viognier from King Family Vineyards. Review: This pale gold Viognier has lovely aromas of lemon custard and ripe green melon. It's dry with moderate acidity and a medium body. The palate shows more ripe melon, honeysuckle, stone fruit, and touch of spicy ginger. The finish is medium in length. I love how approachable this Viognier is. This grape can often present as super floral and lack acidity -- neither do I particularly care for. Instead, the King Family Viognier has a great balance and soft texture, along with layers of flavor (not just floral notes). The grapes for this wine are grown in the Monticello American Viticultural Area of Virginia. Back in the 1700's Mr. Jefferson tried to make wine in this region -- well, long story short, he failed. Lucky for us, the Virginia wine industry (grape growing and wine making) has since been revolutionized! Food Pairing: This was perfect with a spicy goat curry. Bottom Line: I nice and easy wine. Great with food or by itself. I dig it. Tonight is the Academy Awards, so I decided to pop open a fancy bottle to enjoy with the fancy festivities! And what's more appropriate for a night of glitz and glam than a gorgeous Riesling from the famed Bernkasteler Doctor vineyard? This steep, south facing, 8 acre plot of Devonian slate soil is the source of some absolutely divine wines. Why "The Doctor" you ask? Legend has it that in the 14th century, Archbishop Bohemund of Trier fell ill -- no herb or portion would cure him. Finally, he was given a flask of Riesling by a Knight of Bernkastel. The elixir cured his fever (and probably tasted delicious, too). From that point forward, this vineyard has been known as The Doctor. Review: The wine is softly pale gold, with aromas of white blossoms, marmalade, and green plums. It is medium dry, with a crisp, fresh acidity and a medium body. 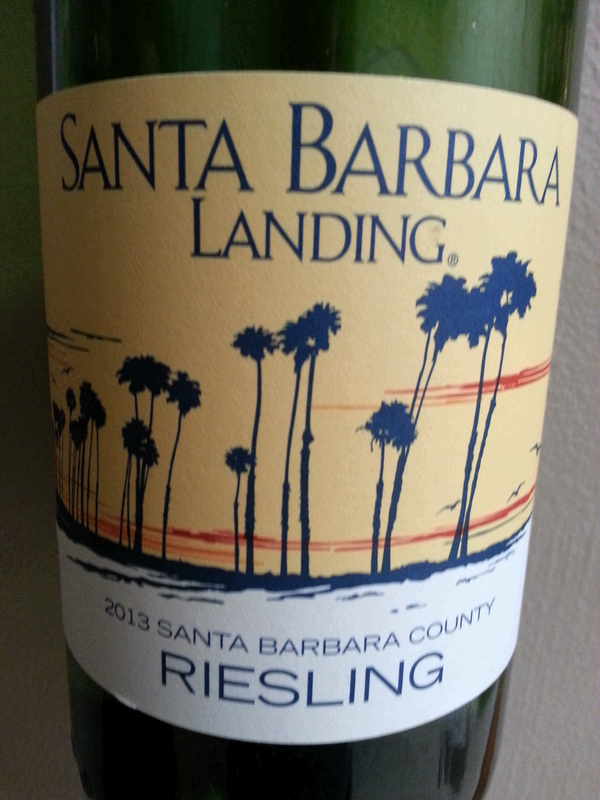 This mineral driven Riesling has rich flavors of ripe honeydew melon, zingy orange citrus, and candied white peaches. The wine is just stunning. I adore the balance of sugar and acidity; the concentration of fruit, and minerals; and the wine's lingering finish. Food Pairing: I made a giant pot of Cajun style red beans and rice tonight. The sweetness of the wine is perfect to temper the spice of my beans. Bottom Line: Gorgeous. I for one am a believer in the healing powers of The Doctor! Well, it's fracking cold and gross here, so I reached for a big bold red to help keep me warm. Big reds might not be what come to mind when you think about Provence, but think again! Yes, rosé may be king, but the reds deserve a place in the royal entourage, too. The Saint Auguste is the flagship red wine of Triennes. It's a blend of Syrah, Cabernet Sauvignon, and Merlot, and like all of their wines, grown with sustainable viticulture practices. Review: This wine has a gorgeous nose -- ripe red and black fruits, savory game meat, graphite, and pungent black pepper. It just keeps going and going. On the palate it's dry with moderate acidity and big chalky tannins. The round body is the perfect canvas for more ripe black currant and bramble, minerals and wet earth, and black pepper and licorice. This is a lovely wine. I adore the complexity and interplay of the fruit, earth, and spice. The texture is round and giving, but still rich and mouthfilling. Food Pairing: Perfect with a cassoulet! Bottom Line: Yum. This wine has everything I want in an everyday red. I dig it. Wine under $5 -- I don't know about you, but I'm always skeptical. This California Riesling was available at the Joe for a whopping $4.99. What's the verdict? Value or Swill? Review: Well, it smells like Riesling! White flowers, sweet mandarin, and nectarines. AND, it tastes like a Riesling! Slightly sweet, moderate acidity and body, with strong flavors of flowers and stone fruit. The finish is short and to the point. Overall, this is a pretty solid little wine. The flavors are simple but concentrated, and the acidity keeps the wine from feeling too flabby. My only complaint is a slight bitterness on the finish (which is quite brief). This wine is made exclusively for Trader Joe's by the Bronco Wine Company, the same folks who bring you Charles Shaw. Food Pairing: This would be great with some Butter Chicken and Naan. Bottom Line: A great value. No two ways about it.